Whenever I have minor pains or aches I use this oil, as it is highly effective against them and provides complete relaxation to my body. Testimonial Whenever I have minor pains or aches I use this oil, as it is highly effective against them and provides complete relaxation to my body. Sports Massage Oil is perfect for athletes & sports active people. It comes with de-toxing Juniperberry, circulation Stimulating Rosemary & warming Black Pepper that makes it perfect for use as a sports massage. 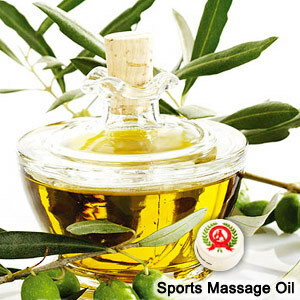 The oils also help therapists in the task of quick physical recovery as well s preventing injury with gentle warming action, thus helping in promoting healthy muscle function. Juniperus communis (Juniperberry), Vitis vinifera (Grapeseed), Rosmarinus officianlis (Rosemary), Tocopherol, Piper nigrum (Black Pepper), Linalool, Limonene , Geraniol. The sports massage oils are hand blended & bottled to ensure quality of every batch. Offering consistent and easy application, it helps in ensuring that skin remains supple during massage as well as gets necessary rejuvenation. Further, it also helps in the relaxation of the body muscles and promoting healthy muscle function.